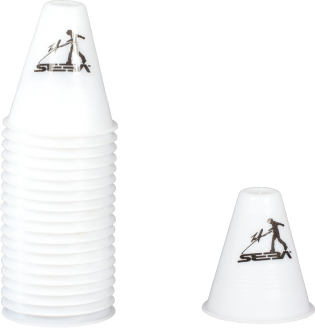 The official slalom cones from Seba designed for inline slalom. Hard enough not to "block". Soft enough not to break.